Relive the beginnings of the ultimate tale of good versus evil! 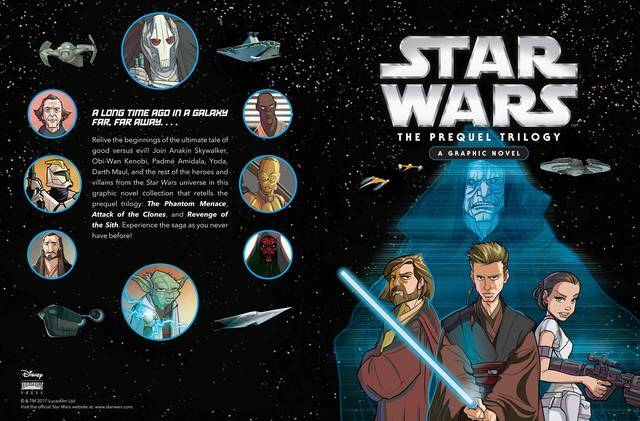 Join Obi-Wan Kenobi, Padm Amidala, Yoda, Darth Maul, and the rest of the heroes and villains from the Star Wars universe in this graphic novel collection that retells the prequel trilogy: The Phantom Menace, Attack of the Clones, and Revenge of the Sith. Experience the saga as you never have before!